It’s hard to ignore the fact we are only a few days away from the best Halloween Party in the world… Now that fall is in full force and the regular “festival season” has ended for many, anticipation is at an all time high for the 5th Annual Suwannee Hulaween. 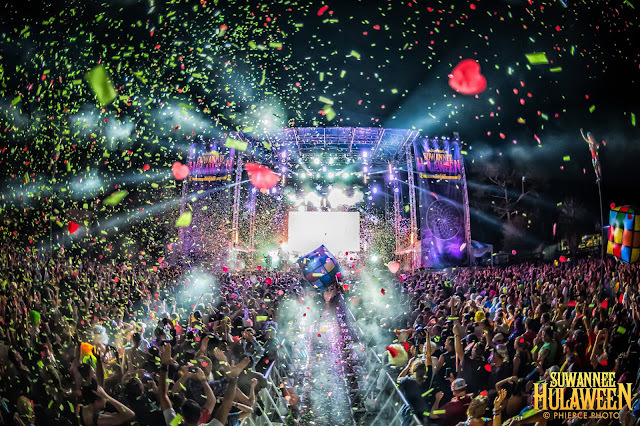 This extraordinary event will soon bring thousands of music enthusiasts from all walks of life to Northern Florida for an unforgettable festival experience that is comparable to none. 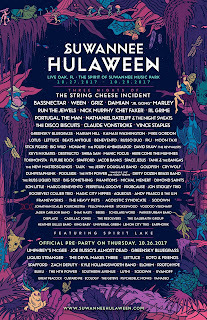 Hulaween’s dense and eclectic musical lineup has been nothing short of incredible every year, and 2017 is no different. They announced the initial lineup back in June and have continued to add to it heavily ever since. Last week, for the first time ever, the festival officially announced it was SOLD OUT! The amount of utterly outstanding music here this year is almost unbelievable, and I’m pretty sure that I am not the only one who gets goosebumps of excitement just by glancing at the schedule! It is very safe to say that Hulaween would not be what it is without the atmosphere and ambiance of it’s legendary location; The Spirit of the Suwannee Music Park. Tucked away and set in the midst of 800 acres of Spanish moss-draped oak and cypress along the Suwannee River, The Spirit of the Suwannee Music Park (SOSMP) is one of the most beautiful live music venues in the country. Suwannee is a very special, almost sacred place, and it is without a doubt my favorite spot in the country for a Festival of any kind for a multitude of reasons. They say “Music Lives There” and it’s true. Personally, Suwannee feels like A second home to me and many others. You can’t help but feel it when you’re there. The entire place is also open year round and the property regularly hosts a wide range of events and other festivals onsite. While music is definitely a focal point of the event, it is important to note that Hulaween is much more than just a typical music festival. Festival curators (Silver Wrapper and Purple Hat Productions) continue to raise the bar each year to create a truly unique and interactive artistic experience that can only be described as magical. Outside of the music, costumes and campsites, they transform the whole place into a giant, beautiful piece of art filled with all kinds of jaw dropping installations. On top of all that, there are also endless amounts of activities available onsite. By going above and beyond on so many levels, Hulaween thrives by making everyone feel connected within a comfortable, thought provoking and inspiring atmosphere. 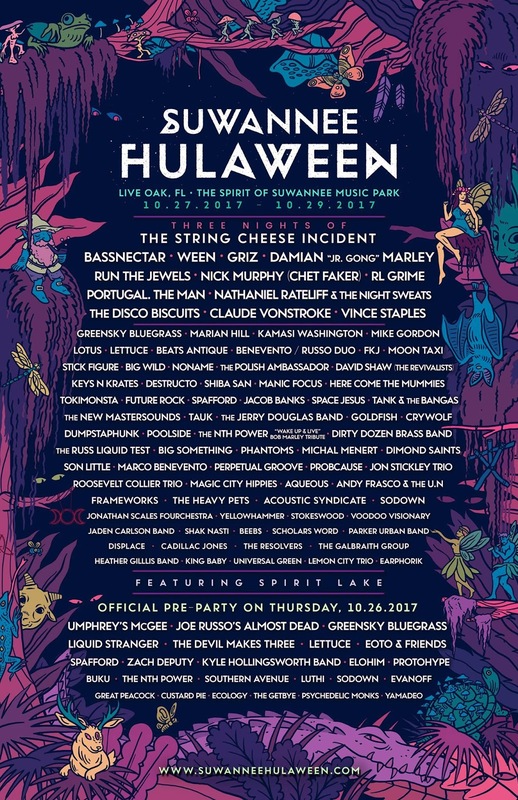 For more information head on over to www.SuwanneeHulaween.com!